On Amazon today you can save up to 50% off select board games. 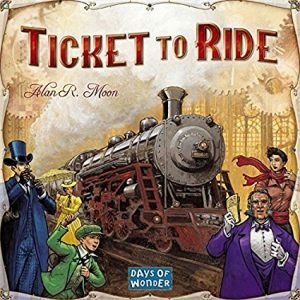 You can get this fun Ticket To Ride Board Game for just $25.82 – a 48% savings! This is my family’s very favorite board game to play and would make a great family gift. This game is made in the US and ships free. Previous post: 20 Stocking Stuffers for Kids for Under $10!